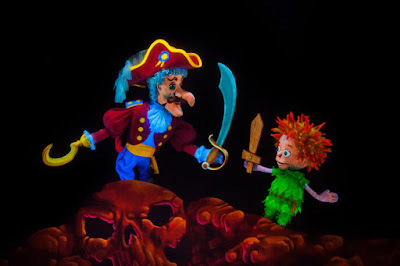 You have only a few more days to see the spectacular Peter Pan onstage at the Center for Puppetry Arts. 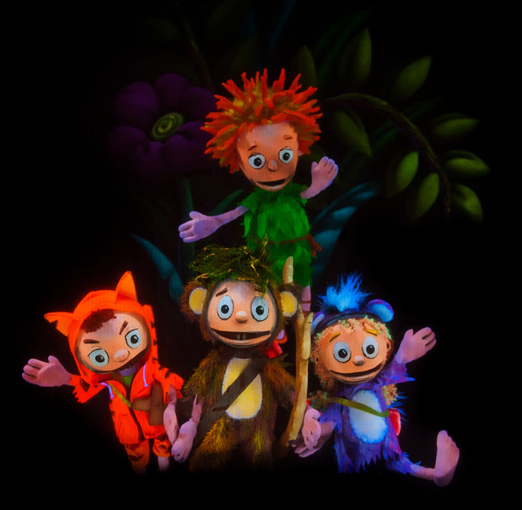 This show is perfect for the families and kids at heart! I'm a member of the latter. I've seen a number of versions of Peter Pan throughout my life and just when I thought there couldn't be yet another way to (brilliantly) present the classic, the Center for Puppetry Arts again astounds. Finding Neverland, based on J.M. 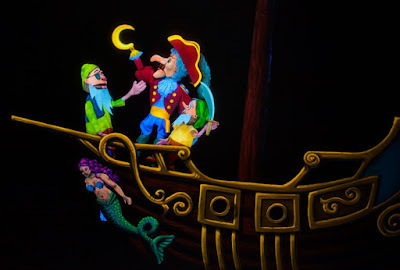 Barrie's inspiration for Peter Pan the book, is one of my favorite movies. Starring Johnny Depp and Kate Winslet, when you see this movie you're going to laugh, laugh, laugh, but bring some Kleenex, too. 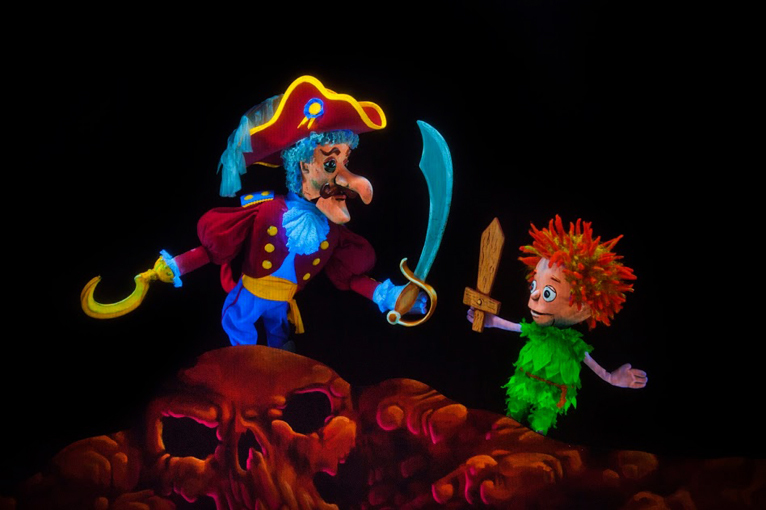 That movie was one of the reasons I wanted to see this puppet performance...that, and being a kid at heart. 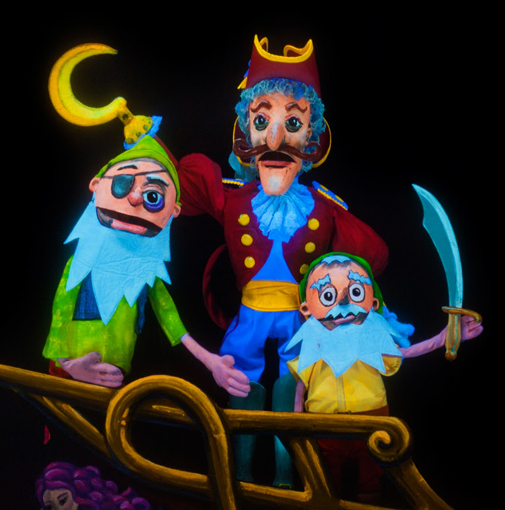 There are a number of different kinds of puppets used in this performance—with only five puppeteers running the entire show!—and they're all painted with black light paint, the puppets, the scenery and the props! On a behind the scenes tour—a couple of weeks after I'd seen the performance—I made a joke about black light giving me flashbacks to the 70s. One person "got it" and we both had a nostalgic laugh. One of the interesting things we learned on the tour was that the puppets, scenery and props had to be painted under black light conditions. The paint color under normal lighting looks very different from what you see during the show...it was fascinating to see first-hand! And it was awesome to see Big Ben up close! The performance I attended was a full house! There were lots of kids and not having spent a lot of time around kids in a long time I was experiencing a little trepidation. There was a lot going on in the audience, but as soon as the show started, a blanket of quiet and calm rolled across the auditorium. I'd never seen anything quite like it. The best part was the kids laughing in unison...there's nothing that evokes pure happiness than the authentic laughter of delighted children. By the way, if you're a parent looking for a parent/family blogger to follow, look to my friends at 365 Atlanta Family and Field Trips with Sue...both are absolutely wonderful! 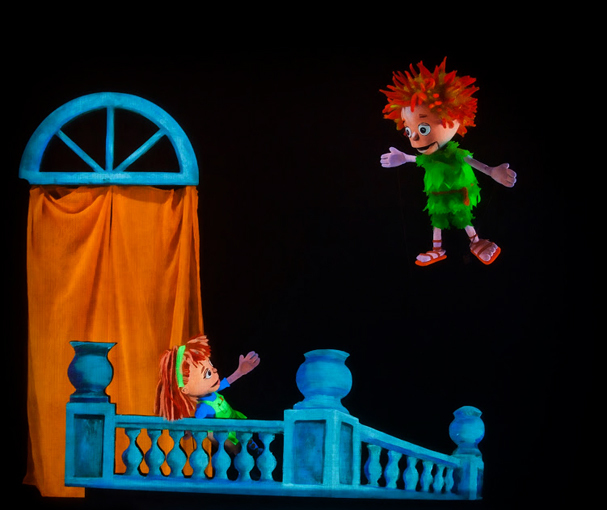 You may know that the museum at the Center for Puppetry Arts is temporarily closed for a major renovation, but their performances are still on--obviously--during said renovation. Mark your calendars for the Grand Opening of the new museum on November 14, 2015...I've enjoyed a preview and it's world-class magnificent! Seriously...you're going to be blown away, AND there's going to be a celebrity puppet appearance! 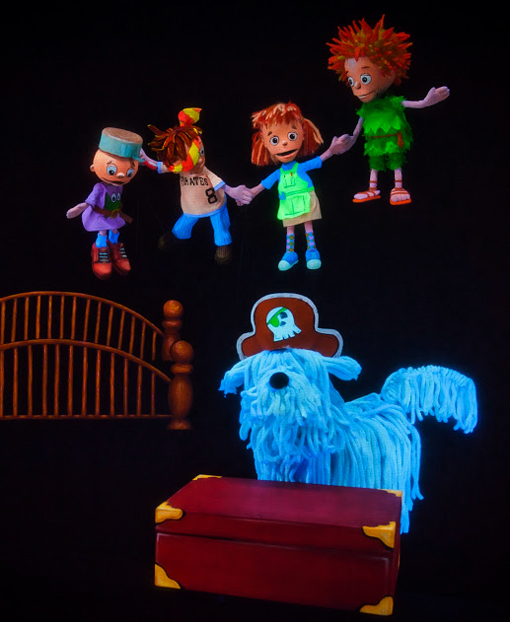 Peter Pan, as performed at the Center for Puppetry Arts, is adapted by Michael Haverty, directed by Amy Sweeney and based on the book by J.M. Barrie. I was so incredibly delighted by this performance. I hope you'll make time to see it this weekend.